There are many weight training benefits - serious reasons YOU should consider starting a program. Lifting weights will build up weak bones and make your whole skeleton stronger. This is particularly helpful if you're older; this is one of the key weight training benefits that will keep you tough as you age. The stress put on your body increases your testosterone output, though much more in men than in women. Testosterone helps your body recover faster from workouts and increases your muscle size and mass quickly. Stronger people are just more handy. You can help your friends and people at work: basically, you're more help to your friends and family more often because of your strength. It takes someone with guts to squat 50 or 100 pounds plus their body-weight, and working up to that level is hard. Just going to the gym regularly and pushing yourself every time you’re there is difficult. Memos won’t be nearly so frightening when your will has been developed lifting weights. I know this is one of the top weight training benefits for me, since I have tons of papers to write all the time for my college courses. 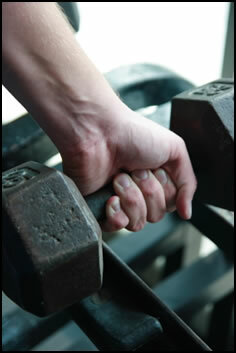 Stresses to your muscles will increase their size and strength, once you’ve rested a little and been sore. Bigger, stronger muscles are always helpful in sports or life. The tendons and connective tissue of your joints getting stronger is one of the best benefits of strength training. This will reduce the possibility of joint injury and help your body to be healthier overall. 7. Impress Guys And Girls! This is the reason some of my friends start weight training: to show off your muscles or to help drop some pounds. Strength training will make you sexier and more attractive to people! And the confidence you gain from knowing you are strong as well as GREAT looking is one of the top strength training benefits. There is not a sport on earth when more strength at the right time couldn’t make you a better player. Whether you’re going for speed, endurance, or increased power, weight training will help you do better at your sport. Weightlifting increases your metabolism for at least 24 hours following a strenuous workout. This is because your body is burning calories to rebuild your muscles stronger and larger than they were before. Lifting free-weights like barbells and dumbbells forces your body to keep balanced while supporting the additional weight. This carries over to your life outside the gym and improves your overall balance. Exercise releases endorphins into your brain, making you feel happier. And I think everybody could use feeling a little happier. That is one of the best benefits of strength training! If that doesn’t give you enough reason to start, I don’t know what does. Honestly. It makes you feel better, grows your muscles bigger, and makes you more attractive. • Click HERE leave '11 Weight Training Benefits!' & learn more about the benefits of physical fitness! 4. Venuto, Tom. 2003. Burn the Fat, Feed the Muscle. Fitness Renaissance, LLC. Pp. 93.